All our licenses are personal, which means that you can use single license on multiple machines that you own. If you experience any problems downloading or installing our software or if you have questions about using our software, please visit AmiBroker's support pages. The chances are that most of your questions will be answered here. The support section includes many Frequently Asked Questions and Troubleshooters, as well as links to other useful resources on the web. 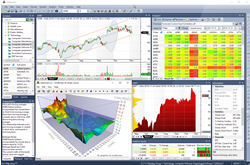 AmiBroker is a full-featured technical analysis & trading system development platform, with an advanced real-time charting, portfolio back-testing/optimization and scanning capabilities. AmiBroker's robust system development environment allows to find market inefficiences, code the system and validate it using powerful statistical methods including walk-forward test and Monte Carlo simulation. AmiBroker allows you to trade directly from charts or programmatically, using auto-trading interface (works with Interactive Brokers). It gives everything you need to trade successfully. Just check out our quick features tour to find out what is included in this powerful software package. The software comes in two editions: Standard Edition and Professional Edition. To learn about differences between editions click here. You can also purchase AmiBroker Ultimate Pack Pro which is a bundle of AmiBroker Professional Edition, AmiQuote and AFL Code wizard available at discounted price. AmiQuote is fast and efficient quote downloader program that allows you to benefit from free quotes available on the Internet. The main purpose of AmiQuote is to simplify and automate download and import of financial data from the public web sites into AmiBroker. It easily handles thousands of securities and performs downloads using multiple threads allowing you to fully utilise your connection bandwidth. 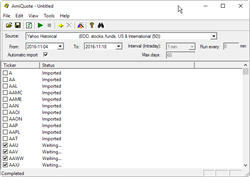 It uses plain text files so it can be also used with other charting programs. 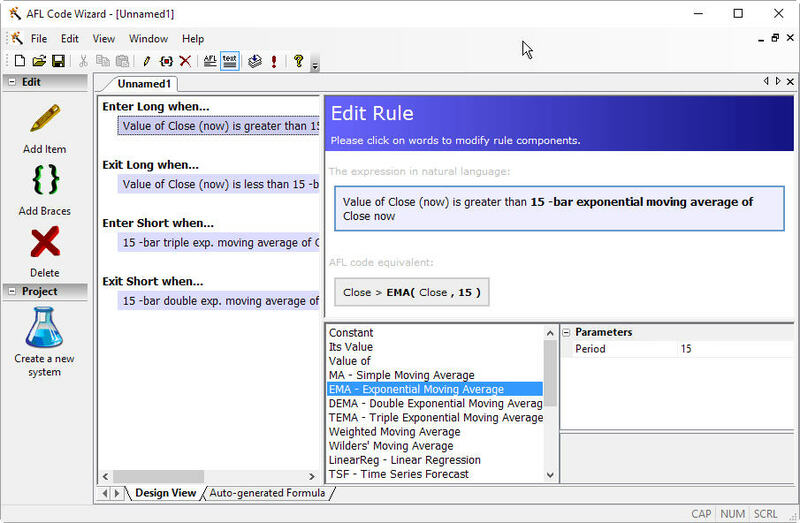 AFL Code Wizard automatically converts English sentences into the code, so you don't need to know how to program. If you ever wanted to create your own trading systems but were struggling with coding, the AFL Code Wizard brings the solution. Instead of typing cryptic code, pick up words from easy-to-use interface to build the sentence in plain English describing how the system should work and the wizard will automagically generate valid system code. Seeing is beliving. Check our video introduction to AFL Code Wizard to see how it works.